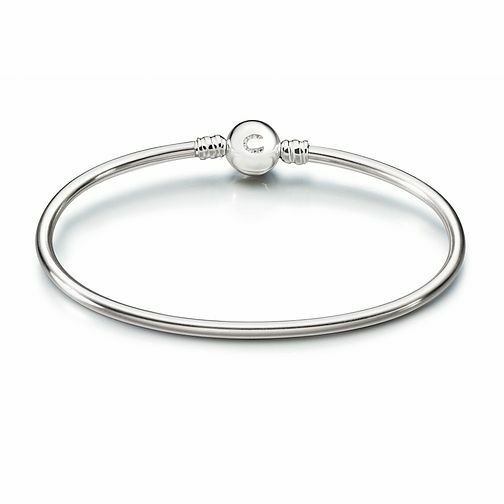 Chamilia Brilliance Swarvoski Zirconia Bangle Medium 7.9"
A medium shining sterling silver 'Brilliance' bangle to decorate with your favourite charms. Discover all the ways to express yourself with one of a kind jewellery that reflects your life and experience. Inspired by your personal sense of style, Chamilia jewellery is as unique as you are. Chamilia Brilliance Swarvoski Zirconia Bangle Medium 7.9" is rated 5.0 out of 5 by 4. Rated 5 out of 5 by Anonymous from Brilliance Bangle This product is stunning. A perfect fit and a beautiful bangle. For anyone wanting a simple yet noticeable bracelet, or a charm-filled look; this product is perfect for that. Rated 5 out of 5 by Anonymous from Chamilia Bangle With Swarovski Crystals I bought this 'Brilliance' bangle for myself and I love it. It's so pretty and it looks fabulous with my Chamilia bracelet that I wear on the same wrist. A good price too. I highly recommend it to treat yourself or buy as a present. I originally ordered a Medium, but had to change it for a Small, as it was a tad too big.